Wilfredo P. Kaamiño Jr. - Syntactics Inc.
Home > Wilfredo P. Kaamiño Jr.
Wilfredo has been working side-by-side with Stephanie as Syntactics’ Vice-President and COO. A graduate of Information Management, Wilfredo is focused on implementation of industry standards and practices through periodic process reviews and improvements. As an IT Professional, his expertise include Object Oriented Programming, Systems Analysis and Design, Network Management, Server Administration (Windows & Linux), Hosting Management and Operations Management. 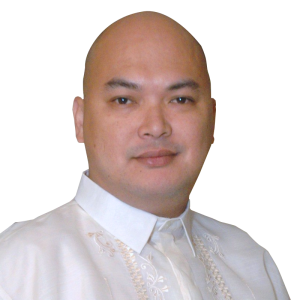 A supporter of CDO – ICT, he envisions Cagayan de Oro to be the BPO Gateway of Mindanao providing IT enabled services, cloud computing and business management software.